levels are often reduced when they do not have to wait for results of their new X-Ray images. The elimination of film also increases office efficiency and safety as well as reduces the need for hazardous waste disposal of dangerous film processing chemicals. Hugar Foot & Ankle Specialists recognize the importance of patient protection during radiation exposure and provide proper protection during X-Ray testing. The use of digital X-Rays is essential to our practice because outside research studies have shown that the process can reduce the amount of radiation exposure by 75% or more, according to digital radiography experts. 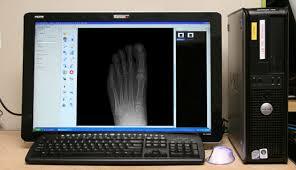 We believe that the overall health and well being of the patient is a priority even during X-Ray testing. Additionally, Digital X-Rays decrease the time between radiation exposure and viewing time of developed images, thereby improving medical professionals’ overall decision skills according to digital radiology writer, Guillermo Sander on October 14, 2016. Do digital X-rays contain chemicals? -No, they do not contain chemicals. 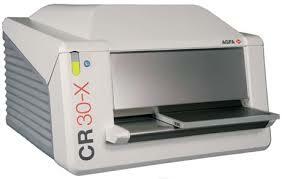 Digital X-rays do not use films that require film processors which often contain harmful chemicals. Can my practitioner share my X-rays with other doctors? 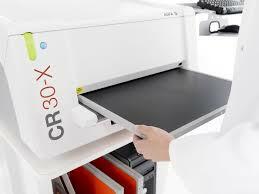 -Yes, within moments, we can send X-rays to our doctors since the images are digitally displayed. This advantage improves communication between our team so that we can provide the best quality care. Will my insurance cover digital X-rays? Most insurance companies recognize the benefits of digital X-rays, so X-rays are usually a covered benefit. Affordable payment plans can be arranged for those procedures that are not covered by an insurance plan. When using digital X-rays, how is the quality compared to traditional X-rays? 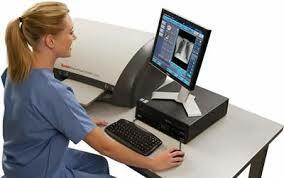 -The quality of the images when using digital X-rays is much more detailed compared to traditional X-rays. Patients and doctors can see distinct features of the images by adjusting the size of the photo. 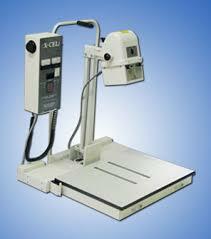 Therefore, we can obtain a more accurate reading of the X-ray.